Need something to do today? Check out A Thing To Do Today in Saint Petersburg. Here's A Thing To Do Tomorrow in Saint Petersburg. Discover ideas for indoor and outdoor events and activities to see, do, visit and experience tomorrow for Saint Petersburg. Have an adventure. The last resting place of almost all Russian Emperors and Empresses - including Catherine the Great - is the Cathedral of St Peter and St Paul. 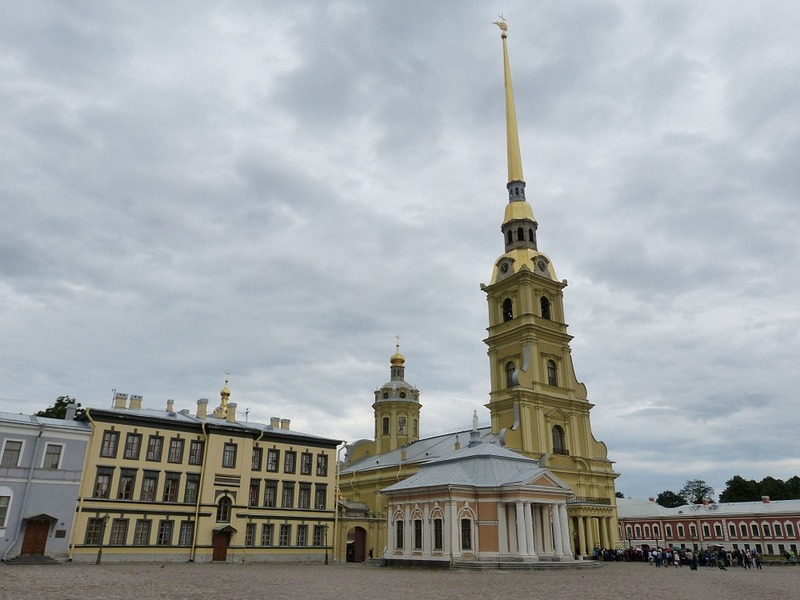 Take a look from 10am to 6pm today: it's located in the Peter and Paul Fortress on Zayachy Island in the Neva River, and as it has what is considered the tallest spire of any Orthodox church, it's hard to miss. A Thing To Do Tomorrow generates things to do and places to go tomorrow, online and offline, this spring, for Saint Petersburg and beyond - whether you're visiting Saint Petersburg or a Saint Petersburg resident. To see another thing to do, just reload the page. Find out more about the site, or for comments, suggestions, corrections, donations, or just to say hi, email john@athingtodotoday.com. Or check out social media @athingtodo.